Irrespective of all the technology that surrounds us, we’re still in the ‘people business’. The opportunity to connect face-to-face with people is one of the best ways to uncover ideas, share expertise, get to know the latest market trends and bring back new knowledge to your team. People often refer to ‘hallway conversations’ as the most valuable part of attending any event. This is the time when you can go deep into your business problems and get those real tips you need, fetching the ROI to your time at the conference. SMX West is the best place to learn actionable SEO and SEM tactics that you can bring home to your team to spur your business growth. With industry experts from different corners of the earth, you’ll get to know the macro trends that are shaping the future of marketing and sales. The speakers include CEOs, founders, co-founders, Sr. Directors and Managers from companies such as WordStream, Microsoft, Milestone, and Killer Infographics. Join the best and the brightest minds for a deeper insight into digital marketing. Attend the workshops, keynotes, and breakout sessions catering to the leaders, CMOs, recruiters, and digital strategists who are advancing the state of higher education marketing and recruitment. The speakers include founders, co-founders, directors, CEOs, VPs, and leaders from Universities such as Harvard, Boston, Western Michigan, Penn State and more. This summit will have over 20,000 digital marketing professionals who can help you stay ahead with the latest digital trends and practical, game-changing, takeaways. Be it content, social media, email, data, analytics, branding, UX & Design, or b2b or b2c marketing, you’ll have ample to learn and share. The speakers include senior advisors, strategists, directors, founders, and VPs of companies like Nike, Microsoft, Peloton, Zapier, Johnson & Johnson, and Southwest Airlines. DealMaker Scottsdale is a great place to gain a deep insight into different facets of digital marketing. It’s a valuable amalgam of sessions, workshops, case studies, researches, talks, and presentations. 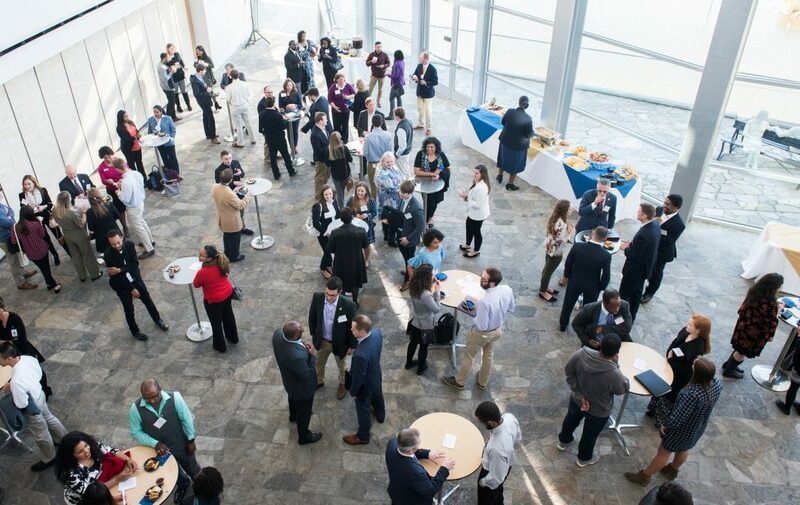 So, attend the event to establish new connections, learn the latest trends, reinforce your existing business relationships, and consolidate your position in the industry. Keep yourself updated with the event details by visiting the event page. With over 1000 B2B marketers and 90+ sessions covering the fields of content strategy, demand gen, sales enablement, digital strategy, channel strategy, and ABM; this conference offers best practices and strategies for generating qualified leads and converting them to opportunities and revenues. The speakers include CEOs, marketing thought leaders, marketing directors, analysts, content strategists and more from companies such as SiriusDecisions, Oracle, Mercer, Notarize, QASymphony, and Fullstory. Learn what’s new, what’s hot and what’s actually working at the moment in digital marketing from the world’s smartest marketers. It’s a three-day event with over 6000 attendees, 108 sessions and 80+ speakers. The speakers include CEOs, founders, co-founders, entrepreneurs, and CMOs from companies like SaaS Academy, Digital Marketer, Internet Traffic Factory, ClickFunnels and more. Attending these events can certainly be a game changer for your business if you can devote your time and resources to connect with your target audience. However, this requires getting hold of the right tools that can quickly complete most of the customary tasks, and ScanBizCards is a perfect app for that. With ScanBizCards, you get unlimited card scanning, 100 manual card transcription credits, cloud backup, export to CRM, CSV, direct scan to specific CRMs and more. Download ScanBizCards now for a free 14 day trial period!